Coffee mugs, beer handles, wine glasses and pens. If you don’t have a forward order you had better be in quick! On sale from Friday. 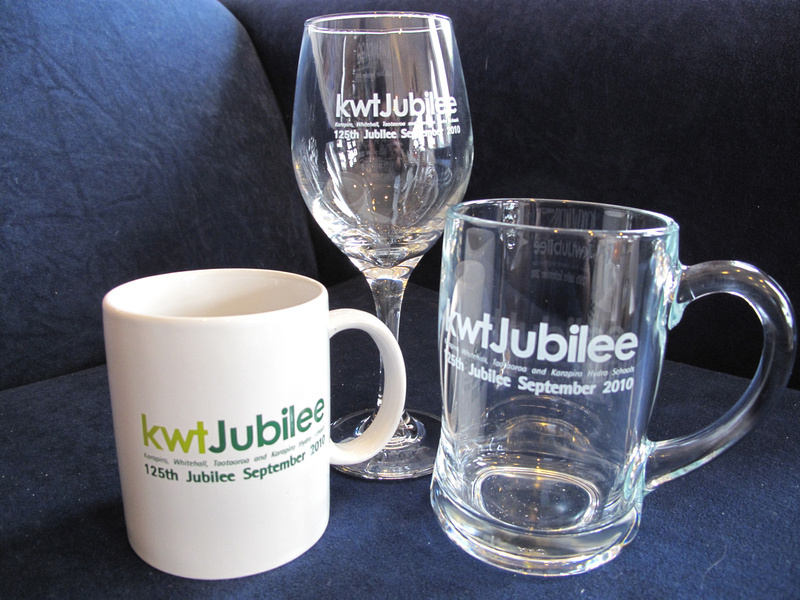 KWTJubilee is on this weekend. Remember that Whitehall and Karapiro Schools will be open from noon Friday 24 September 2010 until noon Saturday 25 September 2010 please feel free to have a wander around. Name tag pickup at both Whitehall and Karapiro schools from noon Friday as well. The registration form is here. For more information visit our website. Prime advertising space, for our school jubilee later in the year, facing Easter traffic travelling south into Cambridge on SH1. For details click here. You can also download the registration form here [PDF 280KB]. Registration forms will be available this coming week for the Karapiro, Whitehall, Taotaoroa & Karapiro Hydro Schools’ 125th Jubilee in September. For more information go to the Jubilee website. A big special thanks to Karen May. 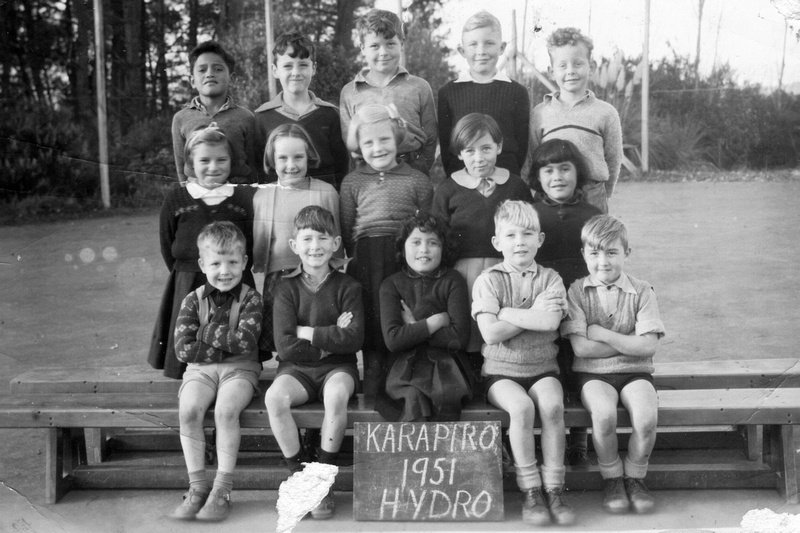 Karapiro, Whitehall, Taotaoroa and Karapiro Hydro Schools 125th Jubilee. 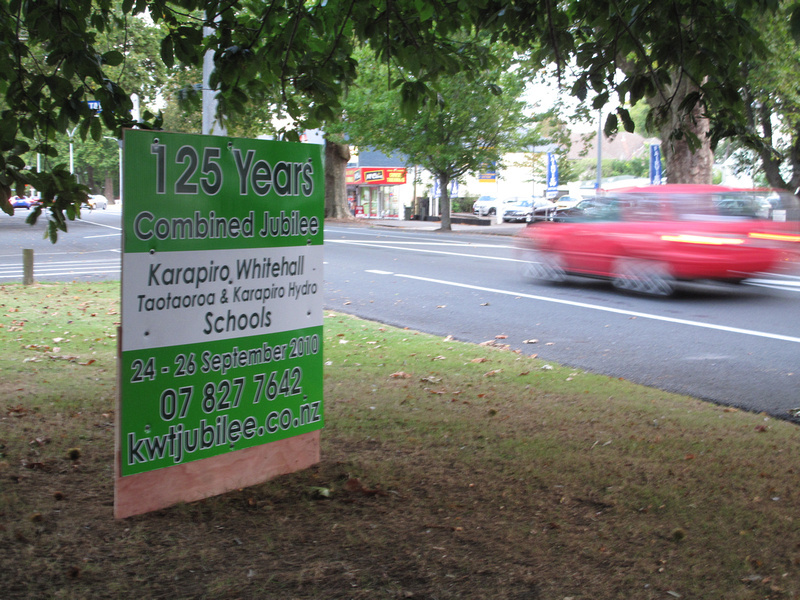 For more information on Karapiro, Whitehall, Taotaroa and Karapiro Hydro Schools’ 125th Jubilee on 24 – 26 September 2010 go to the Jubilee website.